Good news Windows Phone 8 users, your devices should be upgradeable to Windows Phone 8.1 when it launches later this year. That confirmation came straight from Greg Sullivan, Windows Phone director of public relations at Microsoft, in an interview with Computerworld. 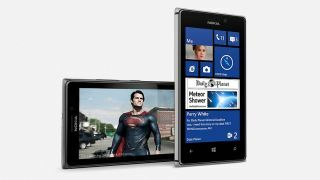 There had been rumors suggesting current Windows Phone 8 smartphones wouldn't get the upgrade to 8.1 - the same way Windows Phone 7 devices were left out of WP 8 - but those fears appear to have been laid to rest. He even went so far as to say that "we won't run out of head space on Windows Phone 8 any time soon", suggesting that users will likely be able to upgrade their devices to versions of the OS beyond 8.1 too. The only thing that could stand in the way of an upgrade to 8.1 is your network, as it will need to distribute the update. Windows Phone 8.1 is expected to land in April and will likely include Siri-like voice interaction, a swipe-down notification centre with access to quick settings and notifications and other tweaks such as separate media and ringtone volumes.